Medvedev announced the government was presently “at war against smoking” during a video address posted on his blog. Prime Minister Dmitry Medvedev launched a “war on smoking” Tuesday and promised a British-style smoking ban in the highest-profile attack by a government official on the tobacco industry to date. 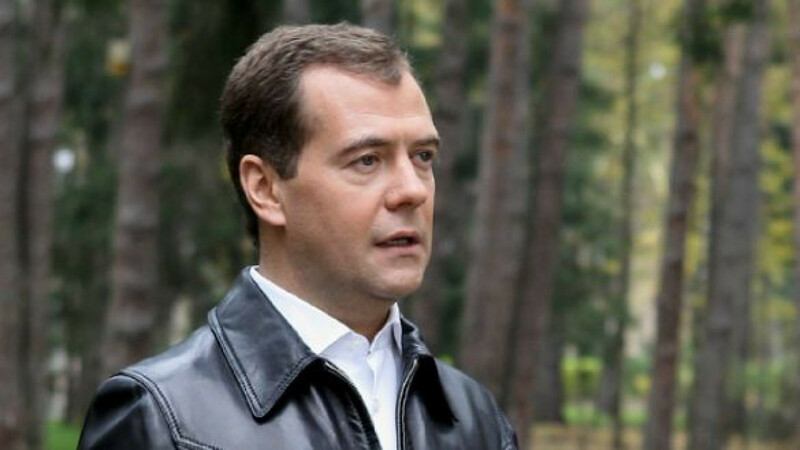 In a video address posted on his blog, Medvedev attacked tobacco firms for “endangering the lives of our children” and criticized the Yeltsin government for allowing foreign tobacco corporations to invest in the country. “Ninety percent of Russian smokers start before the age of 20, and most try their first cigarette in the younger years. So it is impossible to talk about smoking as the free choice of a consenting adult,” he said. Medvedev used the strongly worded statement to endorse an anti-smoking bill currently being drafted by the Health Ministry that is set to be considered by the government before the end of this month. The bill will contain significant measures to counter smoking in the country, including a smoking ban in public places. “Jan. 1, 2015, is the end,” Medvedev said in reference to indoor smoking. Smoking rates have risen dramatically since the early 1990s, when foreign tobacco majors entered the market. “The market is divided between four major foreign companies, all of which came to Russia in the early 1990s. Unfortunately, then, the state did not consider the risks of foreign investment in the tobacco sector,” he said. British-American Tobacco, Phillip Morris, Japan Tobacco and Imperial Tobacco control over 90 percent of the Russian market. Earlier this month, a Huffington Post investigation revealed that U.S. presidential candidate Mitt Romney may have made millions of dollars from the entry of international tobacco firms into Russia in the 1990s. The report’s authors cited Bain & Co., a Boston-based consulting company, as saying that during Romney’s time as CEO of the company, he advised tobacco firms including British American Tobacco, or BAT, on how to market their brands in Russia in the years after the Soviet collapse. Medvedev said 44 million Russians, or a third of the population, smoke, and that the habit kills 400,000 annually — equivalent to “removing from the map a city the size of Tver.” He did not source his statistics, but they are generally in line with World Health Organization estimates that 39 percent of Russian adults are habitual smokers. The country’s $22 billion tobacco market is currently the second-largest in the world, surpassed only by China. Other measures being considered include hefty tax hikes on tobacco products. Earlier this month the Health Ministry proposed raising excise tax rates from 12 rubles per pack to 78 rubles per pack by 2015, while currently excise is scheduled to rise to just 25 rubles by 2015. The hike could bring in an additional 800 billion to 900 billion rubles in tax revenues — equivalent to a 1.1 to 13 percent of gross domestic product. But some of the plans have been criticized as harmful to small businesses. Kiosk owners have been particularly unhappy with plans to ban any outlet with a floor space of less then 50 square meters from selling cigarettes, arguing that it will do nothing to curb smoking but will hand a monopoly on tobacco retail to supermarkets. Industry majors, including Phillip Morris International and BAT, have said in the past that they would seek to soften some proposals, while officials at the World Health Organization have publicly urged Russian lawmakers to resist such lobbying. “It’s a pretty serious project. They’re definitely going to go ahead with this,” said Alexei Makarkin, head of the Center for Political Technologies. “The only question is in what form [the proposals will be implemented]; there have been plenty of bills that have been amended and watered down in the Duma until they lost most of their force. So we will have to wait and see,” he added. Medvedev said 80 percent of citizens, including two-thirds of smokers, support a crackdown on smoking. Makarkin warned that while on paper the policy is indeed popular, there is a danger of running into discontent similar to that which killed Mikhail Gorbachev’s crackdown on alcohol retail in the 1980s once smokers actually experience the inconvenience. While Medvedev and President Vladimir Putin don’t smoke, other top officials, including Foreign Minister Sergei Lavrov, are heavy smokers. Makarkin said even deputies who indulge in the habit will be unlikely to vote against the bill. “Personal preference doesn’t come into it,” he said. Phillip Morris said in an e-mailed statement that it would be “premature” to comment on the bill. BAT did not respond to repeated requests for comment Tuesday. Moscow restaurateurs contacted by The Moscow Times said they did not believe they would lose customers as a result of the smoking ban. “As a non-smoker I’m in favor,” said Dmitry Yampolsky, one of the team behind several popular Moscow bars and restaurants, including the notoriously smokey Jan Jacques bistros. “It is useless to have a non-smoking section — that’s a fact. It just doesn’t work,” he added. Yampolsky admitted to a difference of opinion with his business partner Dmitry Borisov, who opposes the ban. But he said it would have to be carefully thought through if the ban becomes law. “The problem is the climate. In England, people can go and smoke outside. Here you can do that in summer, but in winter that makes it simply unrealistic,” he said. A spokeswoman for RosInter Restaurants, which runs franchises including Il Patio and Sushi Planet, said the chain had already successfully experimented with isolated “smoking cabins” in its restaurants. “Customers quickly adapted,” she said in e-mailed comments.